Biggest Loser Danny Cahill says: SIMPLIFY for success! Have you ever wondered how life got so complicated? When I was young, things seemed easier. All I had to do was worry about getting my homework done, getting to football practice on time, and the girl I was dating at the time. (Alright, so the girl was a little complicated!) Have you ever thought, “Boy, life was so much simpler then, but now it’s so doggone complicated!” Well, I agree. 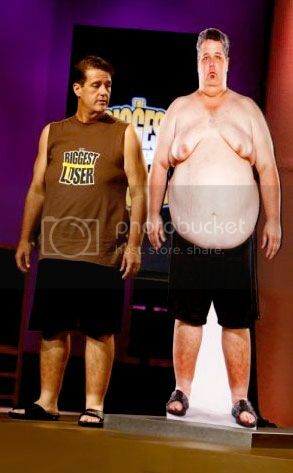 On the Biggest Loser ranch, life once again became simple. I woke up and began my day which consisted of 3 things: keep my diet on track, get the work or the exercise in, and stay on the Biggest Loser Ranch. While I was there I had no phone calls, bills, television, internet, email, and other daily distractions we all have to deal with. My focus was completely on those three things: Diet, Exercise, and staying there. It’s funny in life how we tend to make things more complicated than we need to. The way to stay there was to lose enough weight to keep me above the yellow line. When my teammates created an alliance & threatened to vote me off, I had to get immunity. If I did that, they couldn’t vote me off. Losing the weight was the key and doing the work was the most important part, so I kept my head down and worked harder than ever! Steps 1 & 2 were that simple. But oh the diet! So many people ask me, “What did you eat on the ranch? What was the diet like?” I’m not going to go into details here, but I will tell you it was simple. I knew what foods to eat, what foods not to eat, how to prepare them and how much to eat! But the thing that made me so successful was keeping it simple. A healthy diet doesn’t have to be complicated. It just has to work. In fact, I ate many of the same foods prepared slightly different while I was on the show! I knew that EASY does it! Complicated is just that: complicated! Whatever you do, look for the simple way to do it. Sometimes too many details just get in the way of what we really want – success.